This BMW X5 has been bought from and fully serviced by BMW with many options. It has been our family car for the last 4 years. Full service history and books from BMW - 12 months Full rego - Sports Package - Innovation package - Panaromic Electric sunroof - Heads up Display - Xenon Headlights - Satelitte Navigation - Rear View Camera with Top View - Electric Tailgate - 20 inch Alloys - Side steps - Electric front seats with full memory - Heated front Seats - both - Dual zone climate - Rain sensors - Full Bluetooth - Tinted Windows - Fully garaged since new It has just been serviced and has a full service history logbook. TOYOTA 86 GTS MANUAL COUPE * SPORTS EXHAUST (SOUNDS GREAT) * CARBON FIBRE SPOILER * BODY KIT * ONE OWNER. 2011 TOYOTA RAV4 CV 4X4 2.4LT AUTOMATIC. This One Country Owner vehicle comes with Service History and Log Books. Fitted with a Tow Bar. Standard features Bluetooth System Voice Recognition Air Conditioning Cruise Control ABS Brakes Traction/Stability Control Air Bags Locking Power Windows Power Mirrors plus much more. 2011 Nissan Xtrail STL 4X4 - in 6 speed Automatic. Ultra - reliable and spacious there's room for the whole family and so much storage room. Leather , Blue - tooth, Cruise control and much much more.. Aesthetic Laser Centre is a leading laser treatment and skin care treatment clinic in Hobart with professionals having 32 years of experience in the industry. Visit us today for all your skin care treatment needs. http://aesthetic-centre.com.au/. Our motorcycle tours business is a unique way to discover Tasmania and all of its beauty in comfort and style. From 30 minute joy rides to multi-day guided hire and self ride tours we have something for everyone and gift certificates are available for all of our services. Our Harley Trike and Harley Bike rides are a great, unforgettable experience for people of all ages and make an ideal gift for that hard to buy for person. Aesthetic Laser Centre is a leading laser treatment and skin care treatment clinic in Hobart with professionals having 32+ years of experience in the industry. Visit us today for all your skin care treatment needs. http://aesthetic-centre.com.au/. Aesthetic Laser Centre is a leading laser treatment and skin care treatment clinic in Hobart with professionals having 32+ years of experience in the industry. Stop worrying about hair loss. Visit us today for skin rejuvenation clinic, hair transplant and all your skin care treatment needs.http://aesthetic-centre. 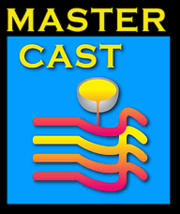 Master Cast manufactures fine decorative metal badges, buckles, bottle openers and beer badges. With 35 years experience we are the experts in our field. TankTec water tanks "made to measure and guaranteed to last". Specialising in the design and manufacture of long lasting and attractive corrugated steel water tanks for the storage of drinking water, as well as the robust corrugated galvanised iron tanks for fire water storage. From small urban water tanks to large rural water tanks we have you covered. We are builders of custom designed residential buildings for discerning Tasmanians offering a full project management service, quality products & finishes, with back up warranties unmatched in Tasmania providing you with peace of mind. For a no obligation consultation, please call 1300 737 910 today.. Boutique accommodation, weddings, events and cooking school. The Red Feather Inn is a charming place to relax, share and enjoy. 42 Main St, Hadspen TAS 7290 Australia http://www.redfeatherinn.com.au/. Tarraleah Village in Tasmania's highlands offers a range of accomodation from 5 star to camping grounds. The Highland Hotel and Teez Cafe offer great food for travellers. Stay in one of our restored Art Deco self contained spacious cottages. Call (03) 6289 0111 for bookings. Tasmanian Mobile Locksmith, your security is our priority Tasmanian Mobile Locksmiths is a family owned and run company, servicing Tasmania for the past 27 years. Leaders in Automotive locksmiths. Specialising in late model automotive keys, , Restricted key Systems and all your residential & Commercial needs. Aesthetic Laser Centre is a leading laser treatment and botox treatment clinic in Tasmania with professionals having 32+ years of experience in the industry. Visit us today for all your skin care treatment needs..
Slushy and Daiquiri Party Hire machine offering RSA staff or DIY. Providing licensed and non licensed venues, events across the state, equipment sales and service, spare parts and sale of quality concentrated Syrups for Granita and Coffee machines. http://www.daiquiriisle.com.au/. Clarence Chiropractic is dedicated to helping you to reach your healthpotential; guiding you to a lifetime of freedom, good living and a betterquality of life. Talk to your local chiropractor in Hobart today and get themost out of life. Phone 03 6244 2928. address: 2/30 Bayfield Street Rosny Park TAS 7018 australia http://www. Landscape garden design, drafting, planning and construction company..
Island Block & Paving produce a unique range of bricks, retaining wall blocks, building blocks, weedfree paving and patented retaining wall systems. The company is committed to manufacturing environmentally friendly products using recycled glass aggregates where possible, these are known as "Sustainable Products for the Future". Zaxsons provides professional installation of all audio and visual products in Hobart. Our services include the installation of antennas to home theatres, alarms, CCTV and surveillance, as well as all types of satellite dishes and integration. Call us today in relation to all your audio and video needs. FLEET TRAX is 100% Tasmanian owned and operated. We are dedicated to improving the efficiency and productivity of Tasmanian businesses by proving tailor made fleet management solutionsFLEET TRAX is 100% Tasmanian owned and operated. We are dedicated to improving the efficiency and productivity of Tasmanian. Dentists of Tasmania (formerly Sorell Allcare Dental) is located in Sorell Tasmania and has proudly been servicing the east coast of Tasmania since 1997. Dr Roger Puckridge and his team ensure that the visit to the dentist is as painless and comfortable as possible for all clients. The atmosphere is relaxed starting from the complimentary massage chairs in the waiting room and ceiling TVs in the surgery rooms. asmania's Health Food Specialists. Natures Works stock a wide range of discounted health foods including nuts, dreid fruit, cereals, breads as well as vitamins and supplements..
Bankruptcy Hobart, Declaring Bankruptcy, Insolvency, Liquidation, or simply overwhelmed by Debt call us on 1300 818 575 for a Free Consultation.or visits us:http://www.freshstartsolutions.com.au/bankruptcy-hobart. We provide best iPhone application development services for your business with affordable cost and customer satisfaction. IPhone application development –If you want attractive and good user interface iPhone application development then makes a call quickly for more information and packaged. We provide you, programmers that have different skilled set with mastery in Physics and better logical and analytical skills for your iPhone application development. Hobart ads Hobart, All categories classifieds Hobart, All categories free ads Hobart, ads for sale Hobart, ads to buy Hobart, FREEADSAustralia Hobart Page number 5-1. Find here ads for sale, to buy and rent in Hobart. Goods for sale in Hobart, vehicles for sale in Hobart, Hobart real estate for sale, Hobart property for sale, property for rent in Hobart, business ads in Hobart, Hobart business classifieds, services in Hobart, Hobart services ads, jobs in Hobart, pets for sale in Hobart, Hobart dating, Hobart cars for sale.